Without a doubt, one of the most beautiful concert halls iN Europe: The Palau de la Musica Catalana, in Barcelona, Spain. 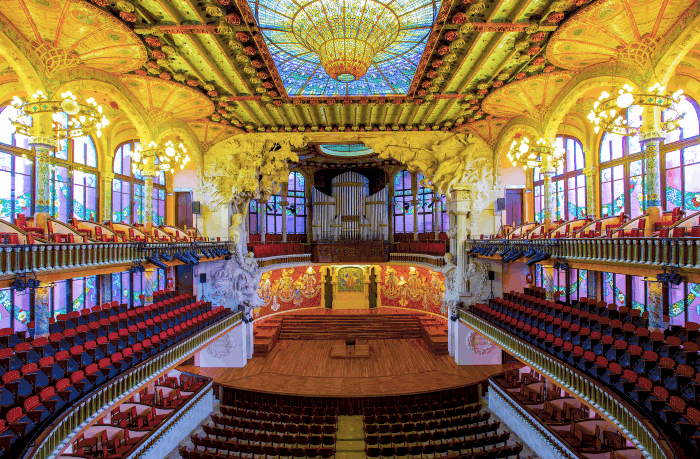 Barcelona’s Palau de la Música Catalana is an architectural jewel of Catalan Art Nouveau, the only concert venue in this style to be listed as a World Heritage Site by UNESCO – accepted on December 4, 1997. Today the Palau is an essential landmark in the cultural and social life of Catalonia, Spain and also a prime venue for our iNCANTATO CONCERT TOURS ensembles. 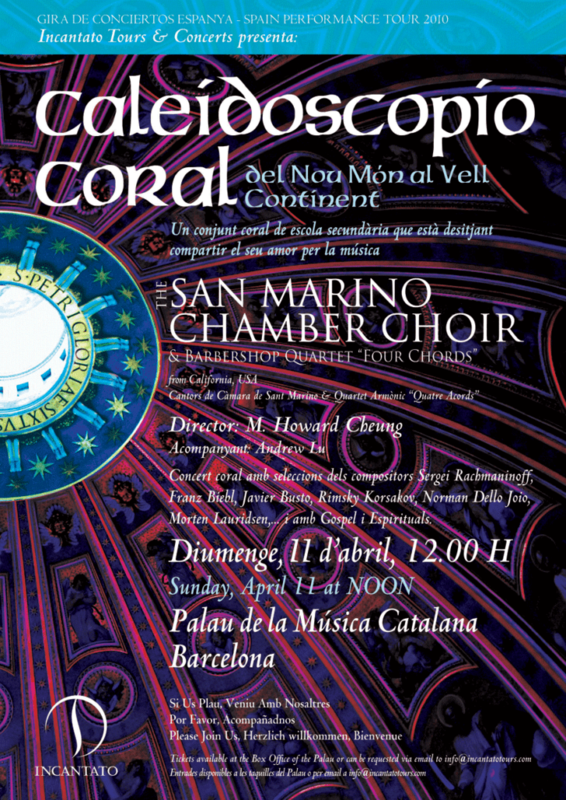 The San Marino Chamber Choir directed by Howard Cheung was the first of our touring choirs to take the prestigious stage at the Palau, preceded by an exchange and first concert with students of the Escola Coral in the Petit Palau. iN Barcelona, but not ready to take the stage? The Palau can be visited as part of a tour, or, even better, experience this incredible venue during a performance. The full event calendar plus much more information can be found here. There are also special programs for families. Forgot to plan ahead and order tickets in advance? Stop by the box office first thing in the morning. We’ve been lucky several times by scoring tickets at the last minute.